Tanya Rennie is our Head Instructor and Trainer. She is a USDF Bronze, Silver and Gold Medalist. Tanya has successfully competed up through the Grand Prix level on horses she has trained herself. She has helped a number of her students and their horses win their USDF Bronze, Silver, and Gold Medals. She has also trained and coached a student to 4th place at the FEI North American Junior/Young Rider Championships, and adult students at the U.S. Dressage Finals in two of the last three years. Tanya has been teaching for more than 30 years, and enjoys working with a variety of riders. From those wishing to develop their basic lower level skills to fellow professionals, she particularly enjoys making a team out of horses and riders of every age and skill level. 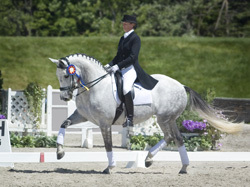 Tanya Rennie is available for clinics,and teaches at several other barns here in southern Maine. Amy Libby is Tanya’s assistant, and our other Instructor and Trainer. 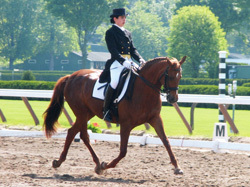 She is a USDF Bronze and Silver Medalist, having successfully competed at the Prix St. Georges level. She has coached many of her young students at shows throughout New England. Amy has over 20 years of experience as a riding instructor, and enjoys teaching children and adults alike. Over the years, she has introduced hundreds of people to the joys of horseback riding.